What will Little Lou Do Next? At the darkest of days, when all is a gloom. The groundhog rises and strolls out of his burrow. 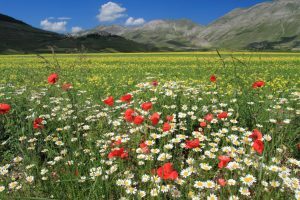 Though we look for hope in the burning sun, winter is shortened for all when the clouds momentarily hide his lighted shadow. 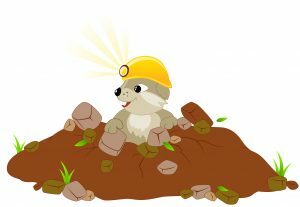 You have found the groundhog.com site which is one of many sites dedicated to the legend of Punxsutawney Phil ® and to the special community…Punxsutawney, PA.
We are in the mist of burrowing out our site so please return for new information. There are a number of web-base sites full of information on the Groundhog Day celebrations, summer festival, and other related activities for visitors. 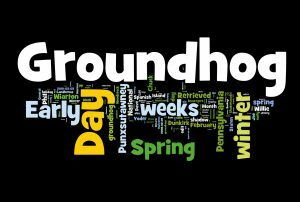 A good place to start your journey is at: www.groundhog.org, which provides history of Groundhog Day and an up-to-date event schedule. Most of the websites are interconnected and very easy to navigate, including the Chamber of Commerce site at: www.punxsutawney.com. 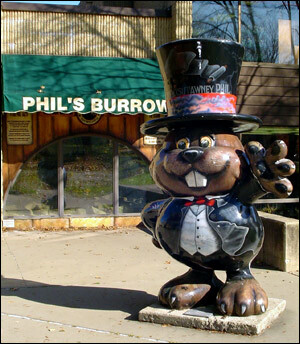 Have FUN exploring the home of Punxsutawney Phil ®. …Join Phil’s many loyal followers! Punxsutawney really is a great place to live and work. We have lots of land, affordable housing, good schools, excellent labor force, and broad community support for new employers. If you have a movable business or are looking for an additional plant location, please take the time to find out what all is here and what can be put in place to assist new business development. Punxsutawney Phil ® sets the tone for the fun of living in this wonderful rural setting. (Little Lou takes the spirit of the festivities in other interesting directions… keep tuned to see what Lou will do next!) Family, friends, sports, and social activities integrate to provide interconnections that you can find here for young and old. The energy-based economy has served the community well for over a century and has positioned it to grow and prosper in the future. With all the transition in the local business environment, the town is ready for an extension of the employment base into other sectors, So… Don’t wait to become a part of this developing story…contact the Chamber of Commerce today. "Punxsutawney Phil" is a registered trademark of the Punxsutawney Groundhog Club. Copyright © 2016 Groundhog.com, Groundhog New Media - All Rights Reserved.